May 1988: The music was boiling over. Everyone in Seattle knew that. All it needed was the right spark to be huge. And one of the major labels believed Craig Adler and his band Snakeblood would be the ones to light the fire. So why would Craig overdose just days before they were set to sign the deal? That was what music journalist Laura Benton couldn’t understand. The guy had been clean for months; that’s what everyone who knew him said. There was a story behind it all and she wanted to write it, to make sense of a senseless death. But as she digs deeper, she discovers that the pieces don’t seem to fit. 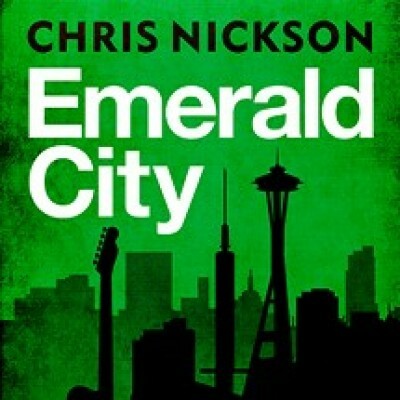 Then the threats begin, turning the dream of Emerald City into a nightmare and Laura finds herself desperately fighting for her reputation – and her life. Have a real soft spot for this story as it was the first original crime fiction published by Creative Content - I love Laura Benton!